Today is Kate Laity’s birthday. My lovely friend and writer extraordinaire has written wonderful books and it would indeed be nice if you picked a copy of one of her latest or even earliest works whether in print or as an e-book, today. One of my favorite works by Kate is Pelzmantel. Check all her books here. struck the clock of Reason. 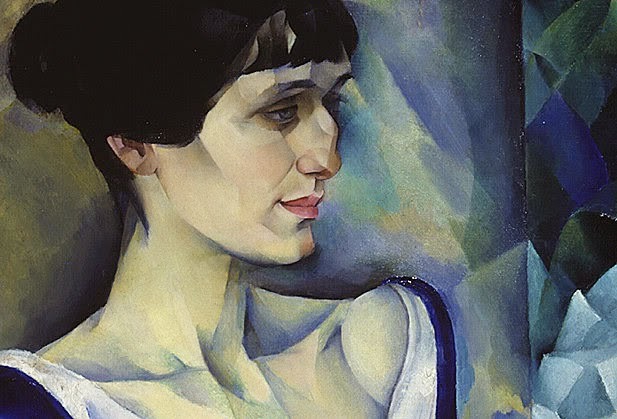 I feel my blood thicken, Your writing is so hard, I am petrified, Akhmatova. We two are made of storms, сестра*. 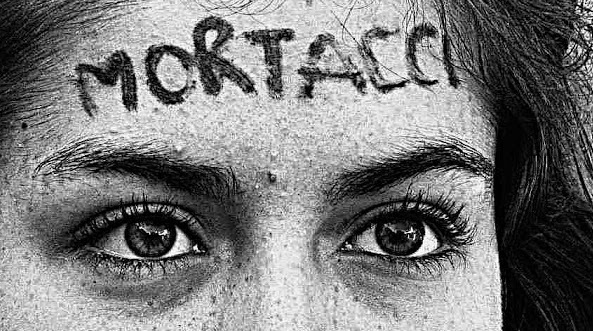 I will be reading at Café Voltaire next Thurday 20th evening together with other members of Rome's Revolutionary Poets Brigade, Edoardo Olmi, Angelo Zabaglio & Andrea Coffami and Marco Cinque. We are presenting our latest Anthology, Articolo 1 (Albeggi Edizioni). 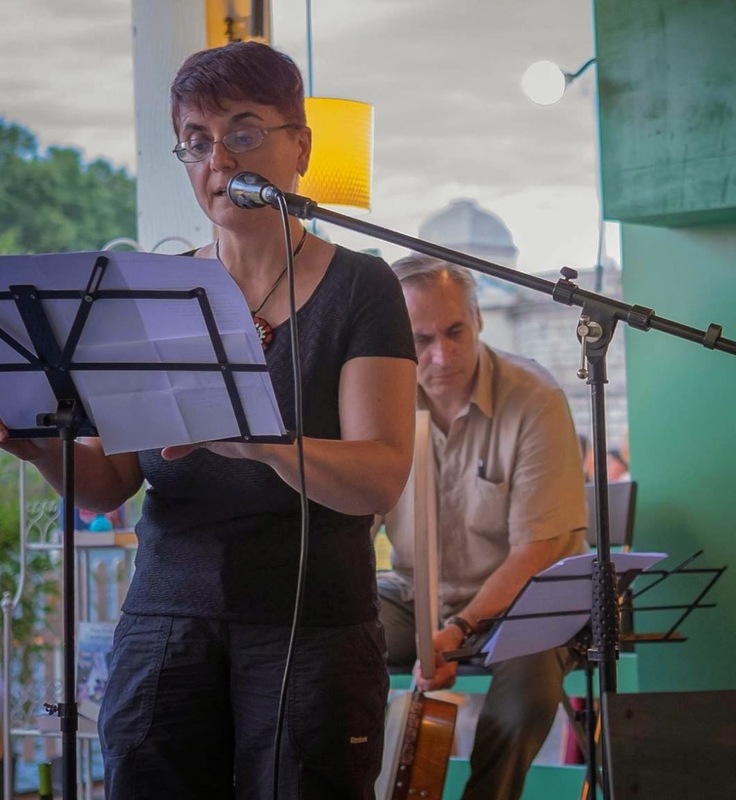 I am very pleased that poet Maria Desiderio will join us. As always, music will be played by Giuseppe Natale and our Marco Cinque! See you there. 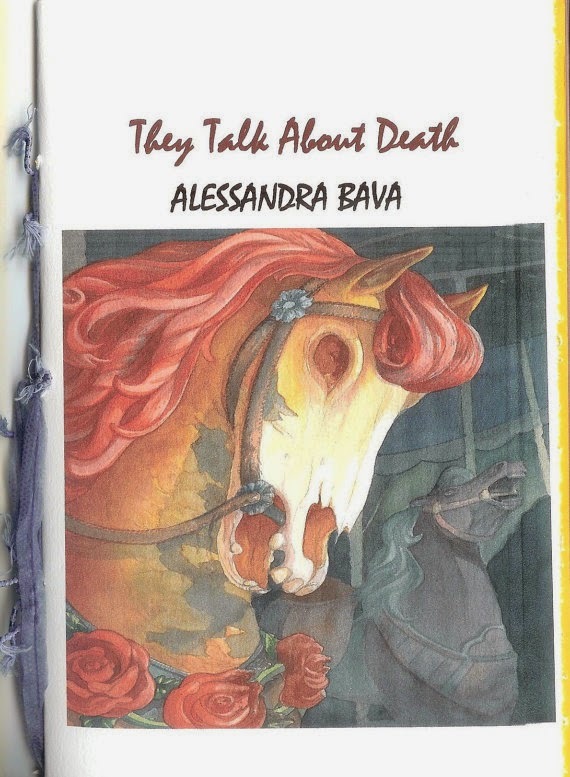 Today I woke up to a new copy of They Talk About Death chapbook sold. 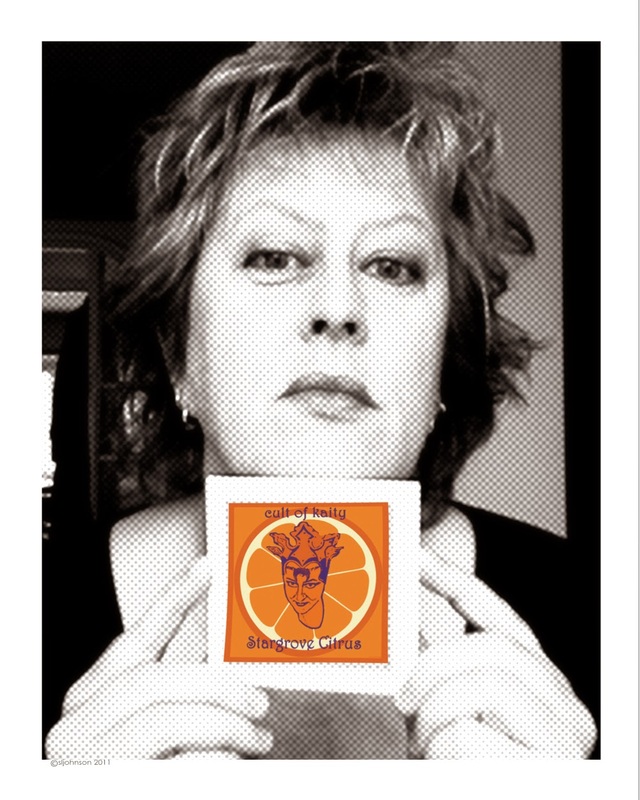 I am sure I owe the sale to the recent, beautiful review by lovely poet Sandra Marchetti appeared in the amazing Fall 2014 edition of Menacing Hedge. Fall is coming and some projects are drawing to a close. I have completed the translations of Paper Offerings by Alejandro Murguía, current SF Poet Laureate, and I have translated and edited A New Anthology of American Poets. Both should be published by the end of the year. 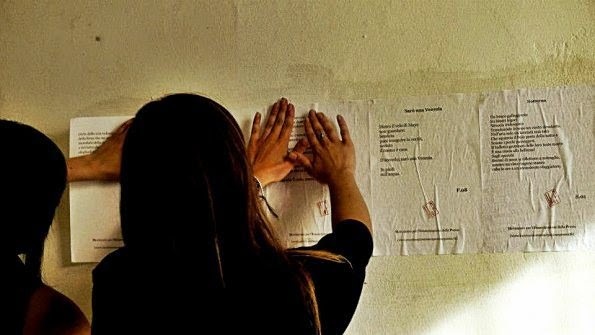 I am also translating the Poet for a new publication and, last but not least, I have asked 16 contemporary women poets to allow me to translate their poems for an Italian magazine I collaborate with. I plan to complete these translations by December. With the new year I have decided to put poetry translation projects on hiatus, in order to concentrate solely on the Poet's biography. I want to complete it by next year, as earliest as possible. 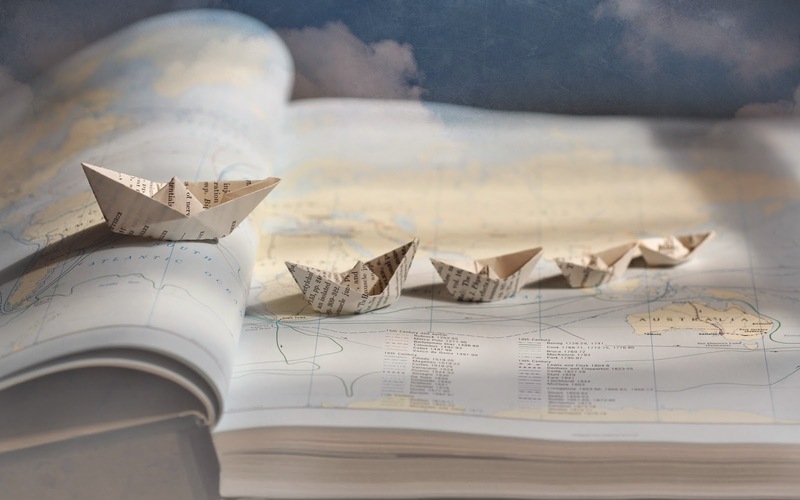 What Matters Most: the Poet or the Poem? 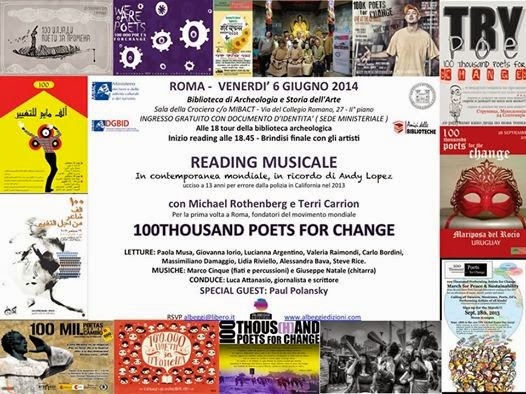 I am indeed grateful to the upcoming 100 Thousand Poets for Change event in Rome next 27th September. Yesterday evening at a group meeting with the organizer of the event, John and I had the chance to meet a group of young poets known as MEP (Movimento per l'Emancipazione Poesia)--that is Poetry Emancipation Movement--whose aim is to billpost poems around town but without divulging the poets' names. Each of them signs his/her poems with his initial and a number that identifies them. You may check their website here to see how they work. Their message is pretty clear: they want to bring poetry to the street so that anyone may read it but they choose to have their poems speak for them. 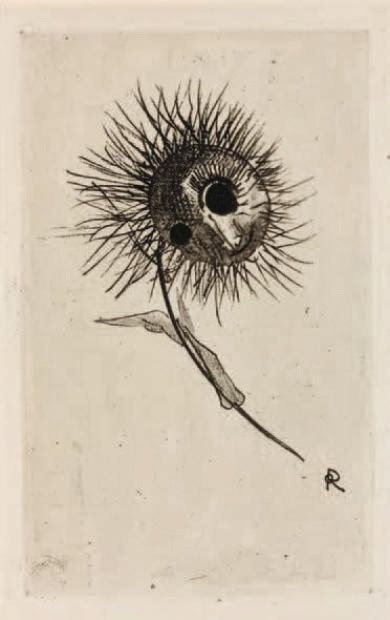 No voice, no face and no name is attached to the poem. This form of billposting is unauthorized, so there is a strong element of protest that comes with their activity. 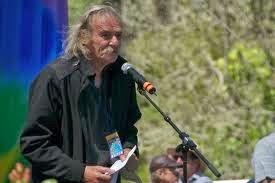 I am sharing a letter and the WPM statement I have just received by Jack Hirschman. It is addressed to every poet I may know. I hope you’ll read it. Thanks! Brigadistas everywhere----I've just returned from Medellin and momentous readings and meetings of the World Poetry Movement. Please read the document below----which is the manifesto underlying all we have all dreamed of for a very long time: a worldwide poetry revolution! Please read it carefully and thoughtfully. It was unanimously approved by the Co-ordinating Committee of World Poetry Movement. The Poet sent me his "Miracle Book"
I opened my mailbox today to find out that Jack had mailed me his latest poetry book: The Viet Arcane. I sat down holding it in my hands and started crying copious tears of joy. 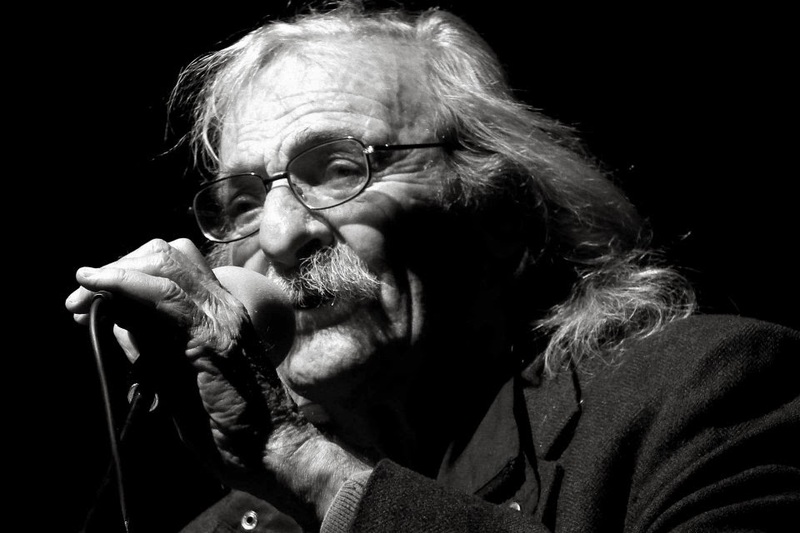 Those of you who know me--or have known me for a while--are aware that I am writing Jack Hirschman's biography. I guess we could say that fate played a great part in our meeting one morning in Caffe Trieste in North Beach, SF, in August 2010. I am writing again. I am so grateful the Muses are being kind with me. I have just completed a new chapbook and I am also working on new poems. Jack's biography is moving forward as well. It seems I just needed a break from a very, very heavy year. 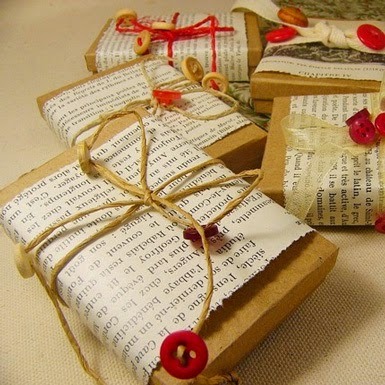 I have been feeding my soul with lots of books, movies and art, lately. I have met and friended many wonderful poets--Michael Rothenberg and Terri Carrion of 100 Thousand Poets for Change among them. There have been poetry readings. There will be more shortly. As I wait for John to be back in Rome in July, I can say life is good. Poetry too. 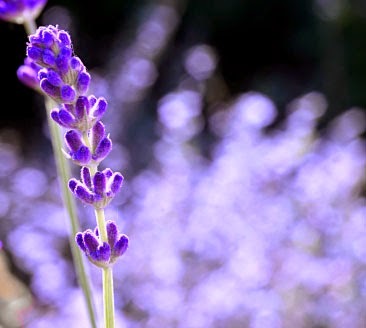 The lavender is blooming at last. Summer is here to stay! 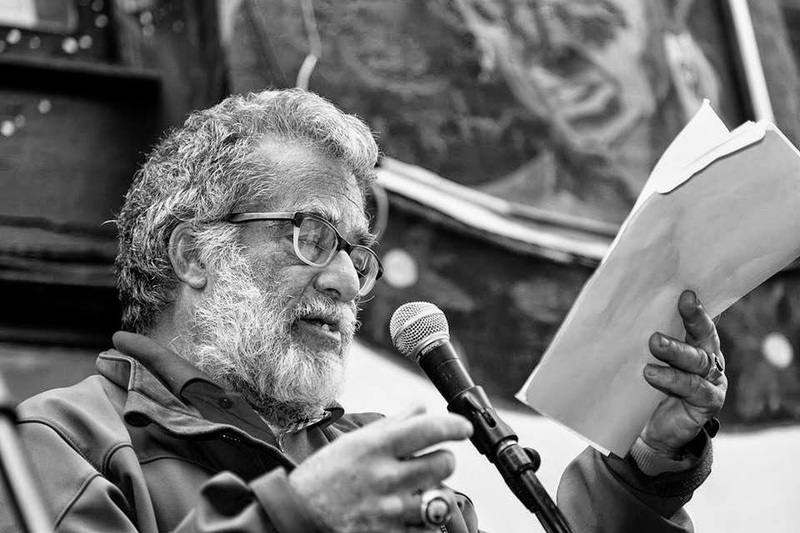 I will be reading together with Michael Rothenberg and Terri Carrion, co-founders of 100 Thousand Poets for Change, and with many other poets--among them Marco Cinque, Massimiliano Damaggio and Edoardo Olmi of Rome's Revolutionary Poets Brigade--tonight. 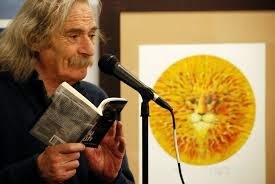 Paul Polansky, that I have met 3 years ago in Bologna, will be the guest poet. Giuseppe Natale and his amazing guitar and music will be there to make this event even more special. It will be a reading in memory of 13 yo Andy Lopez, who was killed in October 2013 in Santa Rosa, California. It will be a reading against police brutality. But, and I am talking at a personal level, it will also be a reading in which I will question again the role of revolutionary poetry. The world needs more and more poets who are ready to protest via their lines and words, because poetry can truly touch the chords of people. Poetry can truly be a means to change what we don't like out there. Indeed, Poets have the Power! It's Mother's Day, so I am posting Jack's poem "Mother." You may also hear him read it in the clip I am posting, which is an amazing experience. Jack's wife, Agneta, believes that this is the best poem he has ever written. I am pretty sure it's up there in his poetical pantheon. You may read "Mother" here. It was almost two years that I had not seen Jack. 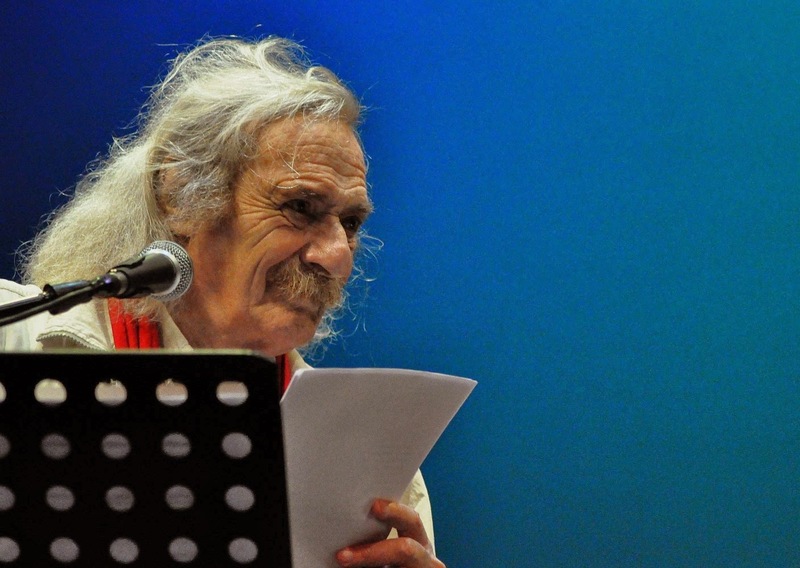 He was in Rome in May 2012 for a couple of readings at the Circolo degli Artisti and at Chiccen. So, it was really a joy to spend a few hours with him last night. There are a few people I think I know as well as Jack. Writing his bio this is almost inevitable, but every time we meet we end up chatting about us and about his life. He brought some great news from San Francisco. It looks like Ferlinghetti's biographer has managed to ask the great icon of the Beats the questions I wanted to ask him regarding Jack. I am indeed on cloud 9 for this. Let's Talk About Writer's Block. Can You Help Me? I have always smiled at the expression "writer's block," possibly because it is not something I had to face in any serious way before. I thought writing would always flow naturally from my head and pen. But, in the past few weeks, it seems I am unable to write. Whatever poem I end up writing makes me shake my head. It seems I am wasting paper, time, energy and words. I know fighting it is possibly not the best cure and I wonder if there is a cure. So, if you happen to read this and you have a suggestion, please send it my way! Whatever works for somebody may not work for everyone, but I'd be happy to try. I want to #poem for real, again. Thanks! I headed to see Frida Kahlo's exhibit, today. It's not the first time I see her works "live." The first time was over 15 years ago. 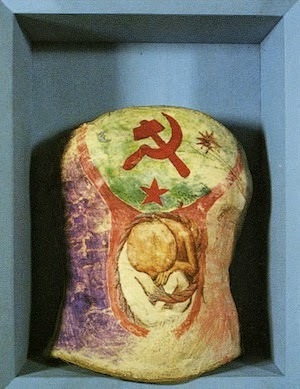 Just a few months before that exhibit, I remember walking into a bookstore and being attracted by a cover depicting a woman with a split open body showing a crumbling column and with her body pierced by nails. It was love at first sight. From that moment onward I have read truly extensively about her life and art. Her first exhibition in Rome boasted "Las dos Fridas," (The Two Fridas), one of her paintings I love most, but today's exhibit had an item that truly moved me: one of Frida's plaster corsets. Her art is always amazing to me. It's not about "Beauty," but it's rather about Feelings: it's about Anguish, Love and Strength. I wasn't allowed to take pictures, but here below you may check some of the beauties I saw today. To begin at the beginning,---the cover by Marco Cinque depicting a face of a girl with eyes that seem to look back into the future. The word Mortacci is a strong statement with which to begin this equally strong and engaging anthology. 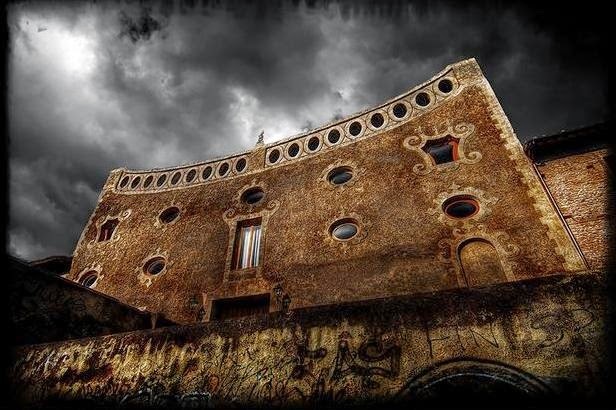 I swear if there is a place I'd love to live in Rome, it is the "Beata Solitudo" house on the Appian Way. As the name suggests it is quite secluded and solitary. 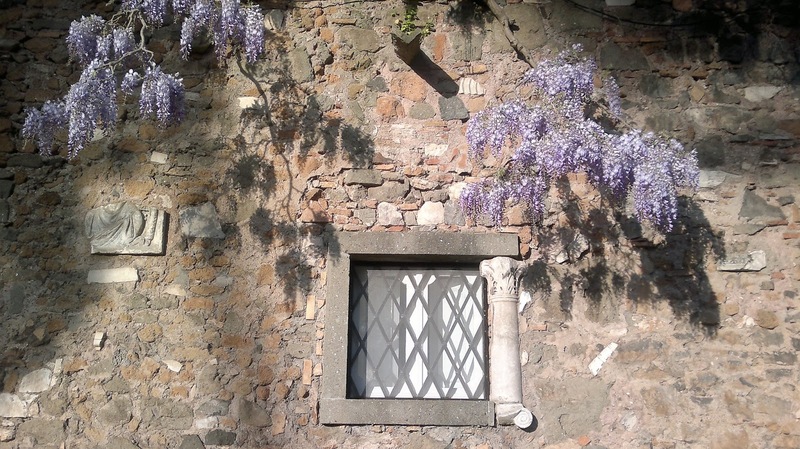 The absolute best time of the year to see it is right at the end of March or early April when wisteria blooms and its lilac flowers make it look even more beautiful. I walked all the way from Cecilia Metella Mausoleum today to admire it. It is such an idyllic place. "The box is only temporary," says Plath. "Everything is breaking: my dinner set is breaking in half, the health inspector says the cottage should be demolished. There is no hope for it. 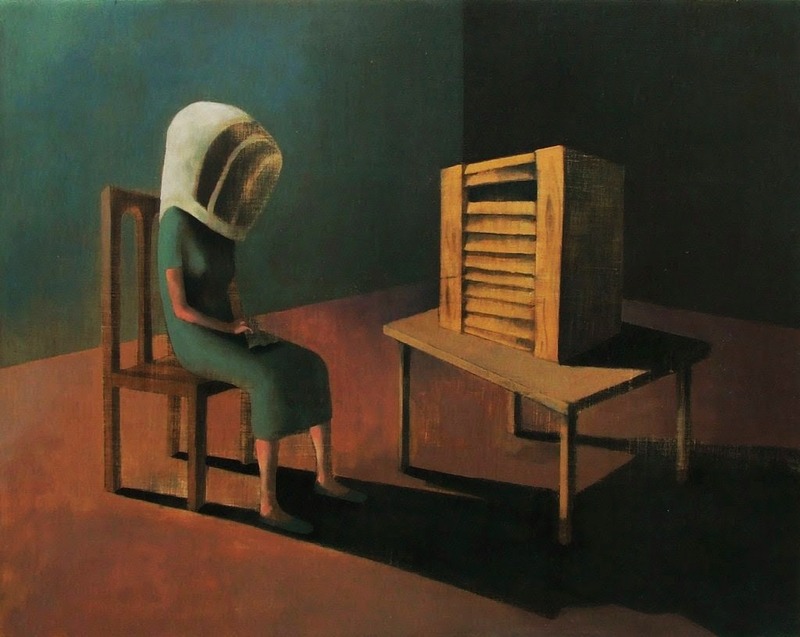 Even my beloved bees set upon me today when I numbly knocked aside their sugar feeder, and I am all over sting..."
I have reread Sylvia's bee poems several times in the past few days and I am captured by their imagery, by the powerful metaphor of how painful the poetry craft can be. I have spent the past two weeks writing about the end of the Fifties and reading an incredible amount of correspondence by the Poet dating to those years. I truly love letters. They tell us so much about who writes them. They are so vibrant, full of enthusiasm and the closest thing I know to real life. I always have the impression I am there myself. Re-living whatever happened. Conversing amiably with Beat poets and many others. I must also find answers to doubts, though. Sometimes I just feel like I have a huge jig-saw puzzle to complete and, when things do not match, I return to the Poet. This morning I had to write to him a long e-mail dealing with his Dartmouth years, his Mayakovsky translations, meeting Allen Ginsberg, an amazing reading of "Howl" by Jack Gilbert and an argument with Robert Creeley. This has been a busy poetic week in so many ways. I have been writing the biography each and every day, some days adding just a few hundred words, some other up to a thousand. I don't mind the uneven pace--as it pretty much depends from my daily work schedule--but it is very important for me to keep the wip rolling. This morning I have finished tweaking the review I wrote for a really beautiful chapbook. And, I truly hope to find a home for it soon. I feel this work will stay with me for a long time. I love it when poetry touches me this way. 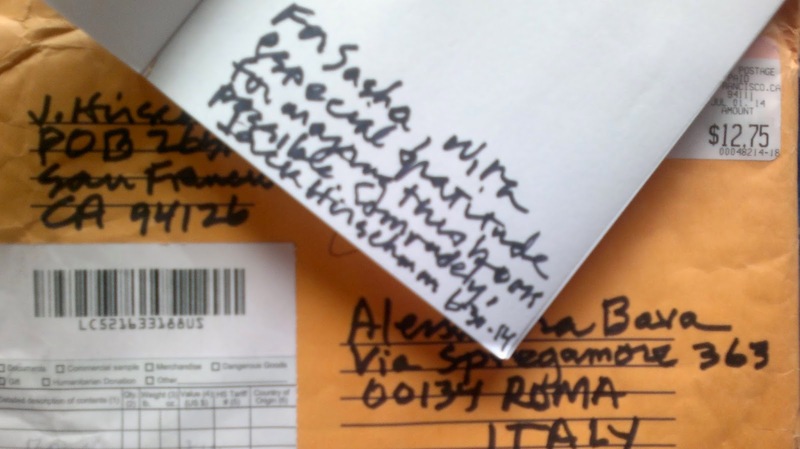 I have also finished translating the last poem in the poetry manuscript of a SF poet that is due to be published here in Italy in the coming Fall. The poet and I are very happy regarding this collaboration. Last, but not least, I have also translated 2 poems from French by Michel Butor that are a thing of Beauty. 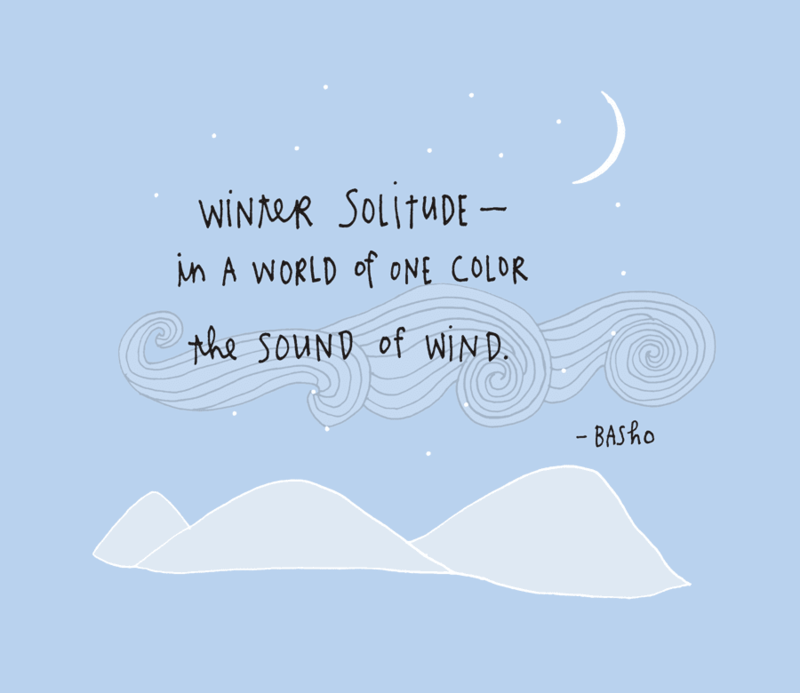 Butor is such a exquisite poet. It is a joy to be able to translate him into Italian. Writing a biography can be quite a demanding exercise. It is not all about writing an unbiased account or simply researching into the life of your subject-matter, it is not all about corresponding with people who have known your man, but it is also "reliving" a life and trying your best to feel what the other person felt. It is wearing someone else's shoes all the time. It is feeling the empathy. Experiencing the happiness and the grief. It is knowing, on a day like today, where the poet's thoughts will be, what he will do--as he has done for the past 34 years--to whom and what he will write. People change, but habits don't. And so, yes, his sadness is my sadness today and I will cope with it in the best way I can. I shall write about Jack. 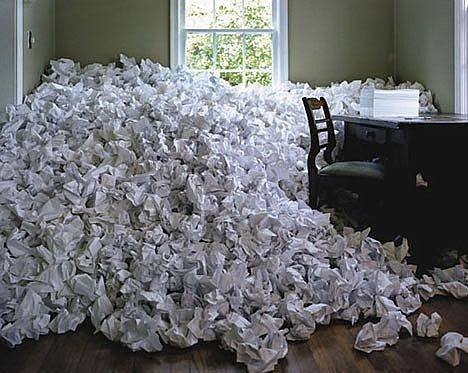 Where Do I Write My Poetry? I will write everywhere and anywhere, but if I am in a writing mood and I have a choice I will usually head to write en plein air. Much like the Impressionists painted, I love to find myself amidst nature and Beauty. Living in the Eternal city is indeed a privilege. Even from my home in the countryside, I am just a few miles away from exceptional beauties. 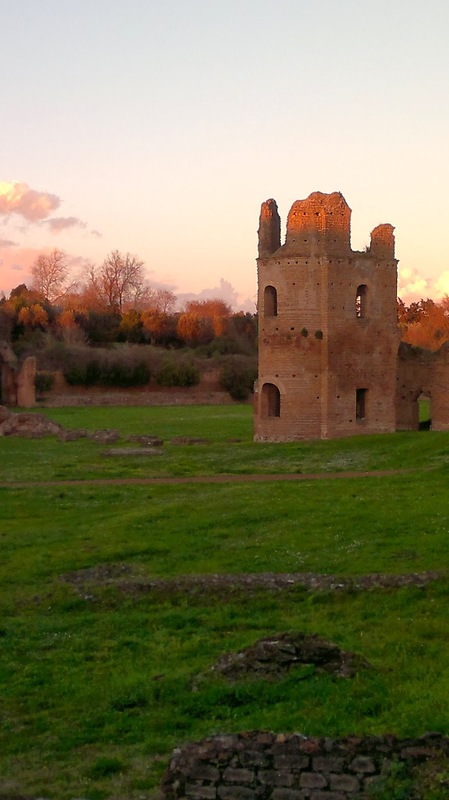 The Appian Way is indeed one of my favorite places. The area is blessed with so many ruins and surrounded by an amazing rural setting that it is truly one of the most beautiful places in the world. Sitting close to the old monuments, enjoying the chirping of the birds, spotting the occasional rabbit, fox or hoopoe on a spring day inspires me in ways I cannot properly describe. I was there yesterday in the late afternoon and, as I took a break from my writing, I also took some pictures at dusk. I hope they convey how breathtaking the Appian Way is. On Poetry and Darkness: John Claude's Upcoming Book "Autumn in the Abyss"
I am so happy to announce that John Claude has a new upcoming book, Autumn in the Abyss, published by Omnium Gatherum.Among my friends I have many poets and poetry lovers and I cannot recommend this book enough to you since the novella--that gives the book its title--deals with poetry. 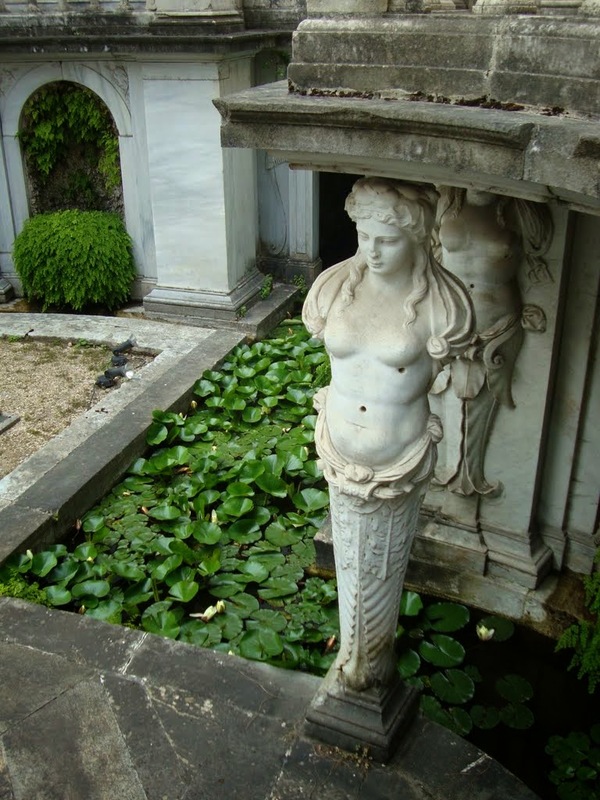 John wrote the novella in Rome a couple of summers ago. One day I was reading to him about the mysterious disappearance into the woods of poet Lew Welch in 1971. 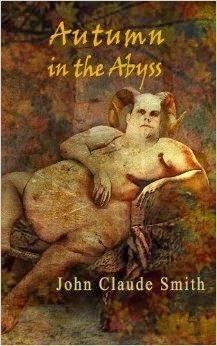 This triggered John to write what I truly consider one of his best works. "When enigmatic poet Henry Coronado disappears six months after the New Year's Eve, 1959, Welcoming Chaos event, he takes with him a profound secret wrapped within the words of his poem, Autumn in the Abyss. Fifty years later, an ill man's research into Coronado's work and life reveals that poetry can indeed change the world, or leave it in ruins.